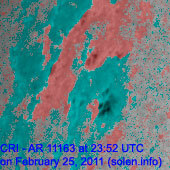 Last major update issued on February 27, 2011 at 05:15 UTC. 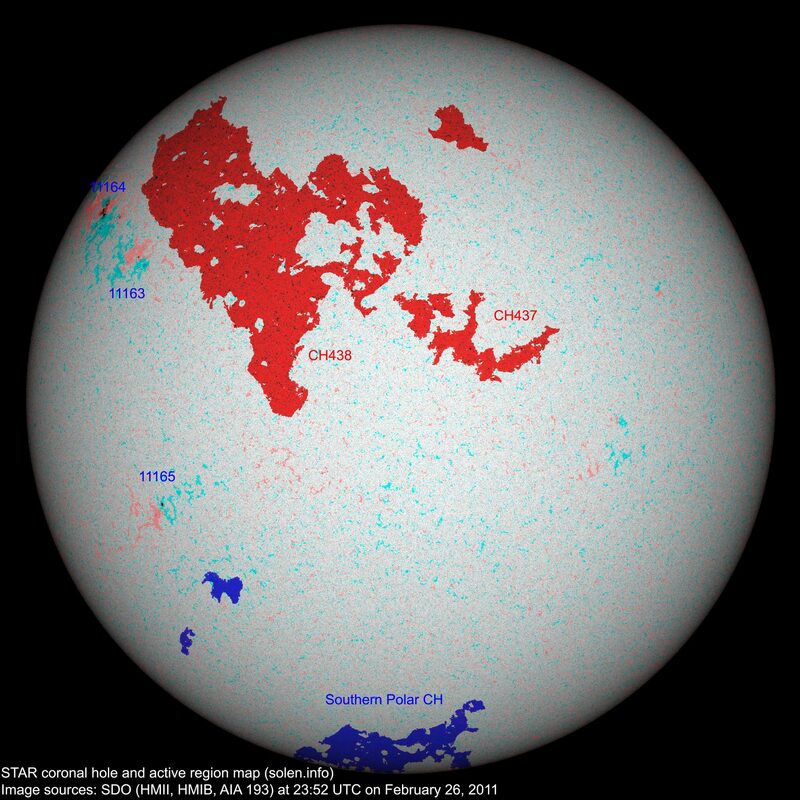 The geomagnetic field was quiet on February 26. 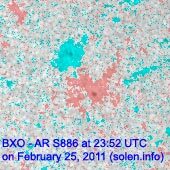 Solar wind speed ranged between 297 and 326 km/s. 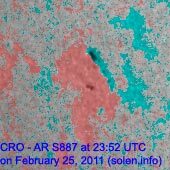 Solar flux measured at 20h UTC on 2.8 GHz was 90.2 (increasing 8.6 over the last solar rotation). The planetary A index was 4 (STAR Ap - based on the mean of three hour interval ap indices: 3.5). 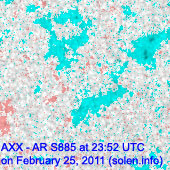 Three hour interval K indices: 01111111 (planetary), 01221222 (Boulder). Region 11163 decayed slowly and was mostly quiet. 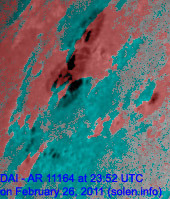 Region 11164 added some small spots. The main penumbra is complex and has a magnetic delta configuration. M flares are possible. 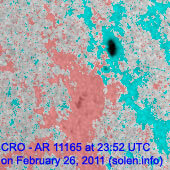 Flare: C1.3 at 08:13 UTC. 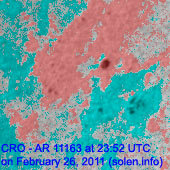 New region 11165 emerged in the southeast quadrant on February 25 and was numbered the next day by NOAA/SWPC. 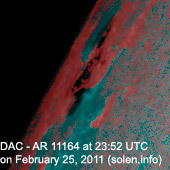 February 24-26: No obviously Earth directed CMEs were observed in LASCO and STEREO imagery. 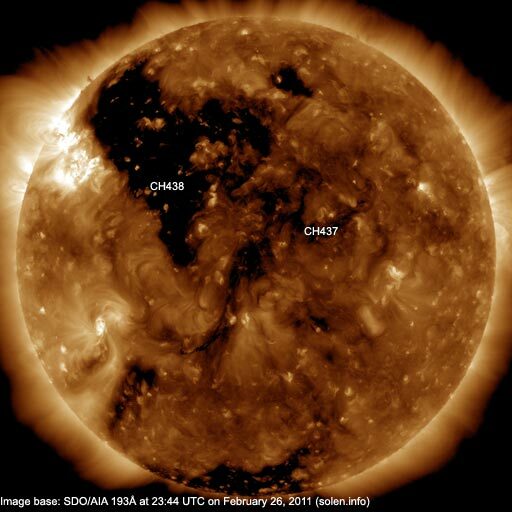 A small coronal hole (CH436) in the northern hemisphere was in an Earth facing location on February 23, CH436 has since then closed A recurrent trans equatorial coronal hole (CH437) was in an Earth facing position on February 25-26 and appears to be decaying. Another part (CH438) of what was a single coronal hole during the previous rotation, will likely be Earth facing on February 27 - March 1. CH438 is a large trans equatorial coronal hole.